After Niels Bohr won the Nobel Prize in 1922, the Carlsberg Brewery gave him a gift. The gift was a house located near the brewery with a direct pipeline to the brewery so that Bohr had free beer on tap whenever he wanted. This house probably wasn’t Bohr’s house, but it is in that neighborhood. 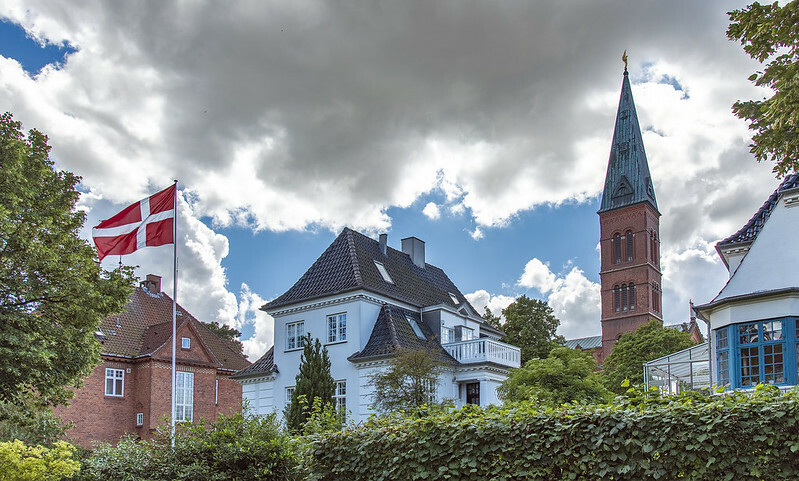 There are some amazing houses in this neighborhood (between the Carlsberg and Valby Stations on the north side of the tracks). I rode my bike through this neighborhood at least once a day this past summer as my apartment was next to this location. OK, so the title is misleading. There is no 4th of July parade in Copenhagen. However, on my way out of my apartment this morning (I live by the Carlsberg Brewery) I met the above scene, as I have many times before, and it made me think of the parades going on back home in the USA. 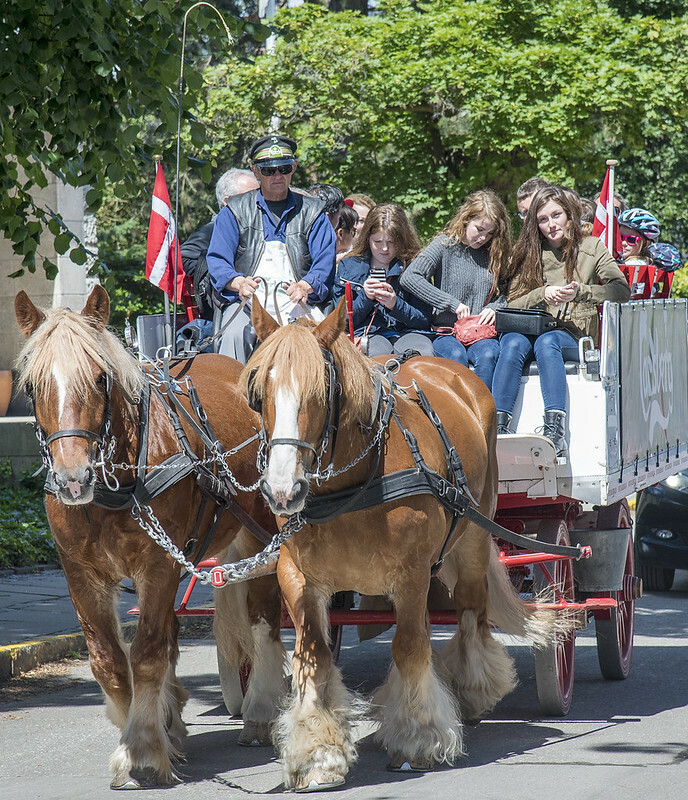 If you take a tour of Carlsberg between 12:30 and 14:30 you can ride in one of the horse-drawn carriages at no additional charge. You may pass me on my bike if you do it during the next four weeks. These aren’t the Budweiser Clydesdales. I think Carlsberg has been using horses longer actually. These are Jutland horses, just as beautiful but not as big. Nine years ago, we had a fun experience on American Independence Day at Tivoli. I guess that means this blog is about to have its 10-year anniversary.